We are delighted to have Maria back. She recently stopped by to share some of her creations from the Building Block Dress book. And now she’s here to talk about her favorite Oliver + S pattern. Glad to have you here, Maria! Hi! I’m Maria, mum of two twin girls, for whom I love to sew and I share my sewing at Fairies, Bubbles & Co. 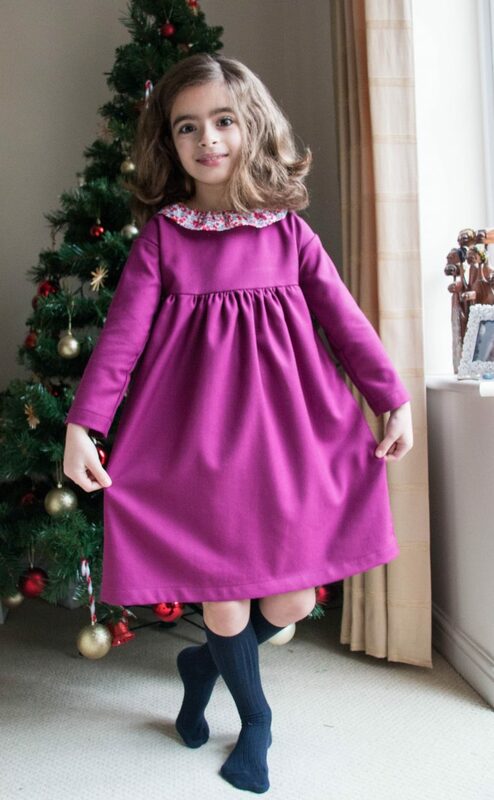 When I started sewing, a few years ago, Oliver + S patterns were one of the first patterns I’ve used, and being self-taught, they were a valuable lesson to me. Not only are they well drafted, pattern pieces matching nicely and have a good fit but they also have well written instructions that are very helpful and also teach real sewing techniques, like staystitch and understitch. As you can imagine, for the beginner I was, it was very rewarding to end up with a garment that fitted my girls but was also well made and had beautiful finishing. My favorite pattern, so far, has to be the Playtime Dress and Tunic. I’ve made the dress version five times and the tunic version three. What I like the most about it is the fact that it is so versatile, depending on the fabric used and it’s perfect to add some details to make it unique. Also, it’s perfect to play around and still look smart. The first version I’ve made was as a tunic, for both my girls. I made it using an oxford fabric and just added a little bow. Right after, I made it as a dress, for both my girls sixth birthday. This time I used corduroy and added some broderie anglaise trim and little bows, made using Liberty fabric. They were their birthday dresses after all! 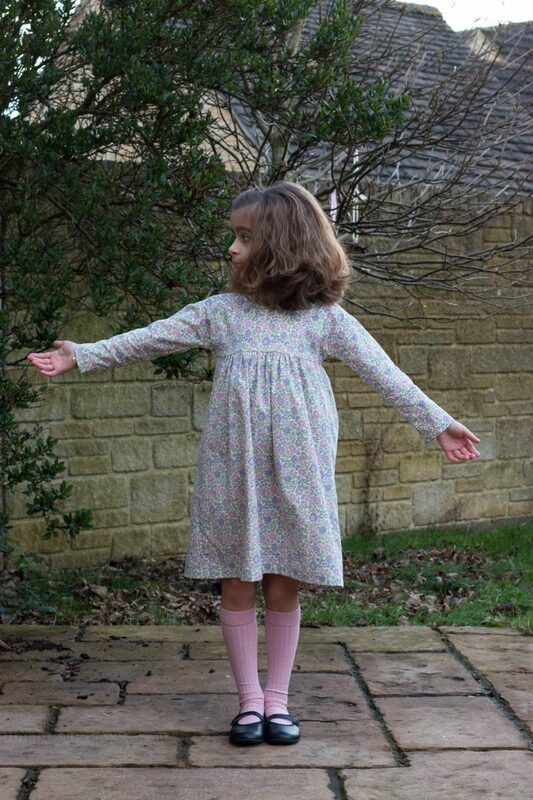 For the first day of the year 2017, I made dresses for the girls, using a viyella, but this time I added a ruffled collar in Liberty Lawn. It was a special day after all! The last version was made this year and is a tunic for F. I used, once more, a striped oxford fabric and added a bow, made with Liberty Lawn. Like I mentioned before, with one single pattern I can achieve such different looks! While writing this post, I realised I own 17 Oliver + S patterns, of which I have made nine and still have eight to make. I need to give these patterns a go and I might find a new favorite! Such beautiful dresses on lovely girls. 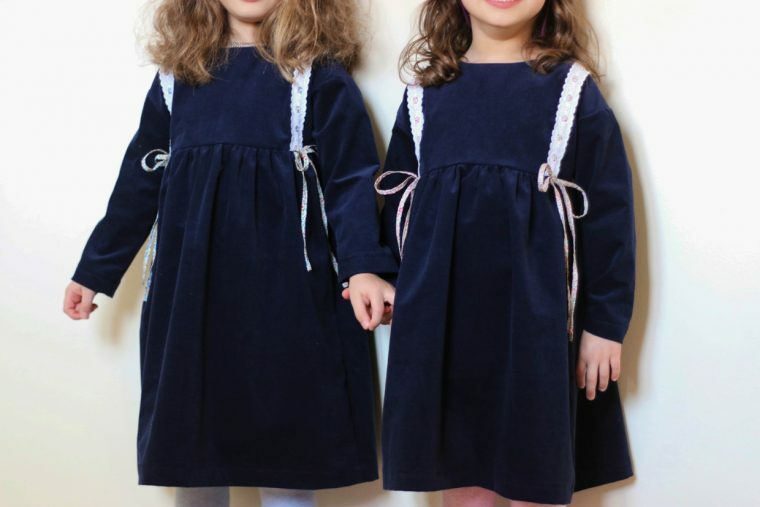 Very sweet dresses for your beautiful daughters. Could you please tell me how you shaped and made the collar piece please. Its the very best idea. I want to copy you !